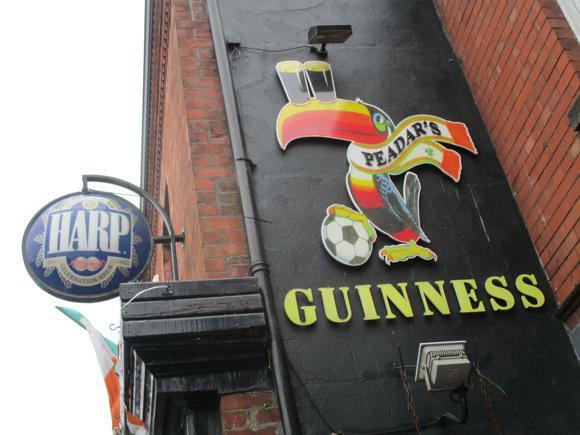 Halfway between Dublin and Belfast, Dundalk is Ireland’s soccer town. While the rest of the Republic goes in for Gaelic football, hurling and rugby, turning out in healthy numbers for Martin O’Neill’s national team and congregating in bars to watch England’s Premier League, Dundalk displays the lilywhite shirts of its local soccer team all over town. 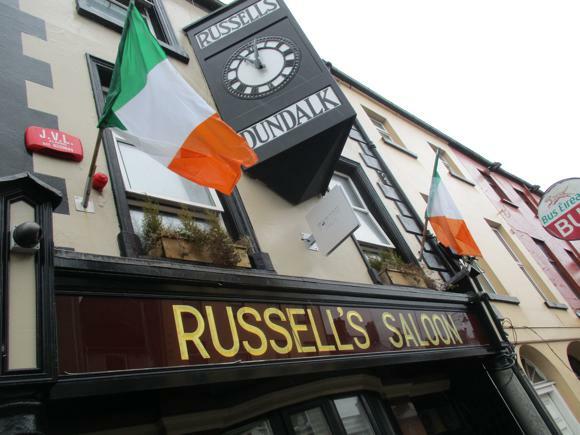 Barber shops, grocery stores and pubs bear the three mythical martlets of the current Irish champions Dundalk FC. The Lilywhites do not owe this cross-town popularity solely to the recent success of three league titles in as many years. Dundalk were the first to break the capital’s monopoly on the domestic championship, in 1933, and since became the most titled club in Ireland outside Dublin. The game came early to this rail hub, shortly after the main clubs of Belfast, an hour or so north by train, were formed in the 1880s. 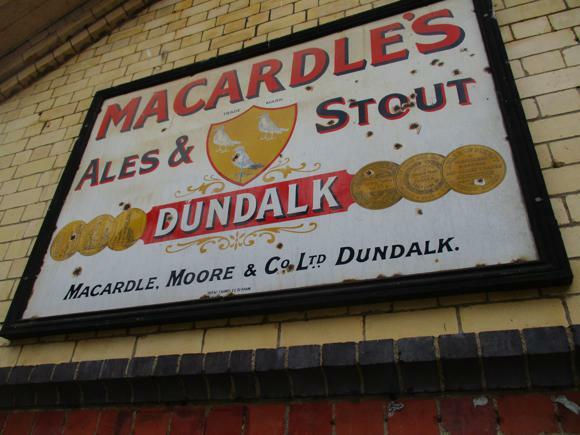 With a major garrison, port and brewery in town, there was no shortage of working men to form teams, Dundalk’s location nearer Ulster influencing the choice of sport towards the round-ball game. Early teams included Dundalk Great Northern Railway, formed in 1903, who found themselves south of the new international border when the Irish Free State was created in 1922. 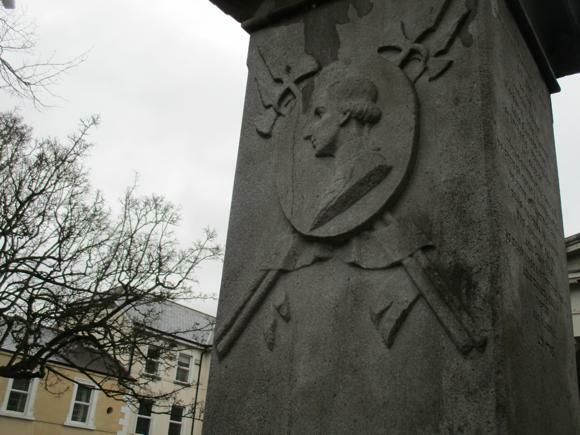 Dundalk was now the last rail stop before trains crossed into Northern Ireland, a checkpoint – and flashpoint. As for Dundalk GNR, they joined the Leinster Senior League, whose main Dublin clubs had climbed up to dominate the newly formed Free State League (later League of Ireland). Playing in amber and black, Dundalk GNR joined them in 1926. A year later they were playing in white – within three years, GNR were Dundalk FC. After winning the title in 1933, the club moved into their current home of Oriel Park, near the train station and former brewery, in 1936. 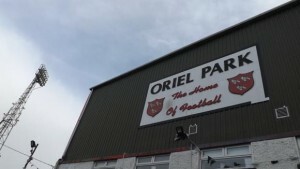 Thanks to Dundalk’s regular title wins, this venerable ground has witnessed the likes of Celtic, Spurs and Liverpool in major European fixtures – although home games were also played at local rivals Drogheda while Oriel Park awaited a revamp. When it came in 2005, it came with artificial turf, the first of its kind in the Irish game. How big a part it has played in Dundalk’s recent domestic successes is debatable – what’s certain is that Dundalk pushed further ahead in Europe in 2016-17 than any Irish team before them. It seems that more and more foreign visitors will be enjoying the convivial, hour-long train journey up the coast from Dublin Connolly station. The nearest airport to Dundalk is Dublin, 77km (48 miles) south. From the airport, an hourly Bus Éireann service takes 1hr 15min to reach Dundalk’s Long Walk station (online €9 single/€13 return), right by central Market Square. The train from Dublin Connolly runs every 1-2hrs, journey time 1hr, online single €20, online return €30. 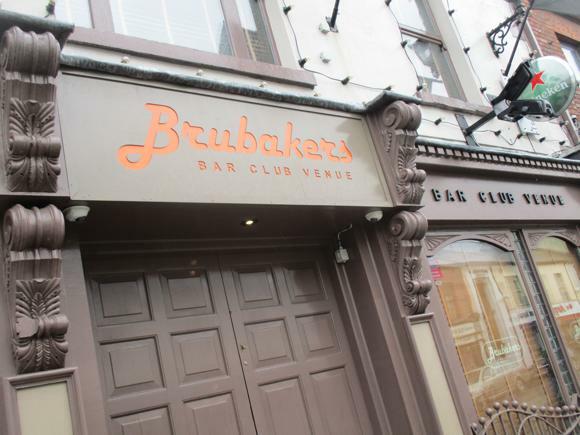 Dundalk (Clarke) station is a short walk from Oriel Park – Long Walk bus terminus is around 15min. Dundalk town centre is compact. For a taxi, call Sevens on +353 42 93 77777. 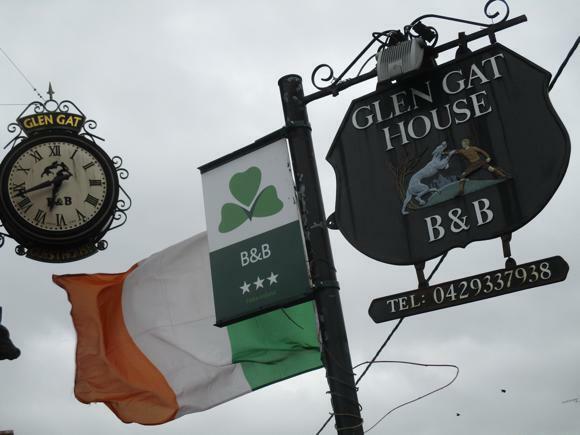 Dundalk Tourist Office has a database of local hotels and B&Bs. 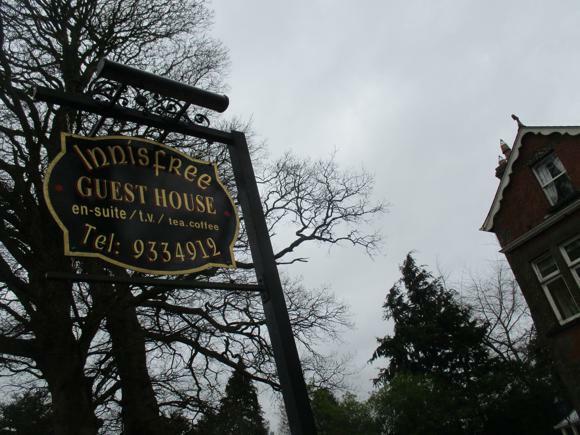 Not 5min walk from Oriel Park, on the other side of Carrickmacross Road, Innisfree Guest House comprises comfortable, well appointed rooms in an Edwardian townhouse. 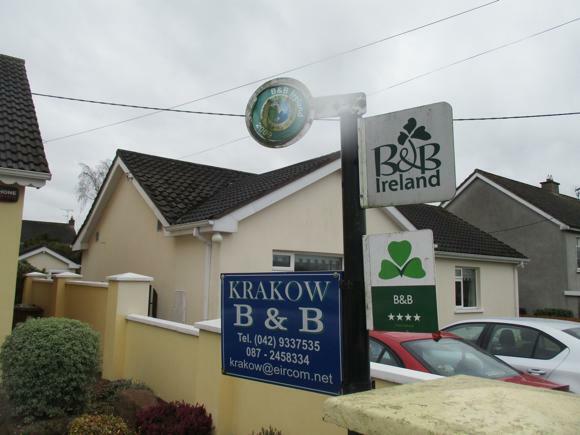 Signposted close by but a bit of a round-about schlep, the Krakow B&B is a friendly, family-run guesthouse with Sky TV. 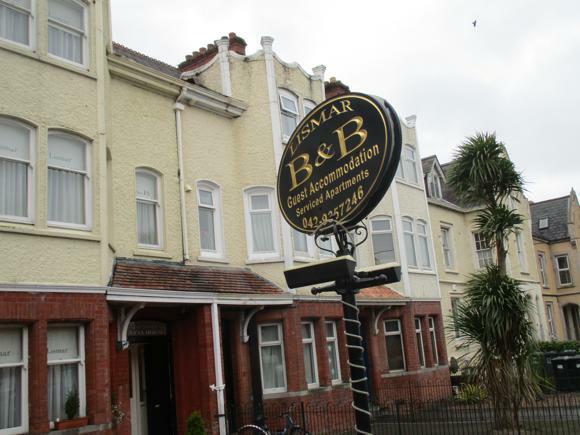 On the town centre side of the train station, Glen Gat House is another welcoming and affordable lodging while round the corner, the Lismar is a B&B with serviced apartments. The main hotel in the town centre is the old-school Imperial, recently put up for sale at €1 million-plus but currently still accepting guests in its 50 rooms and Parkes sports bar downstairs. If you’re barhopping along Park Street, you couldn’t be better placed. 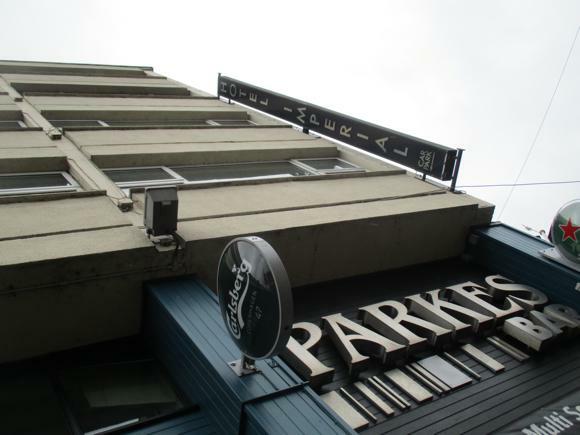 From the station end to town, Anne Street/Park Street are lined with pubs and bars. 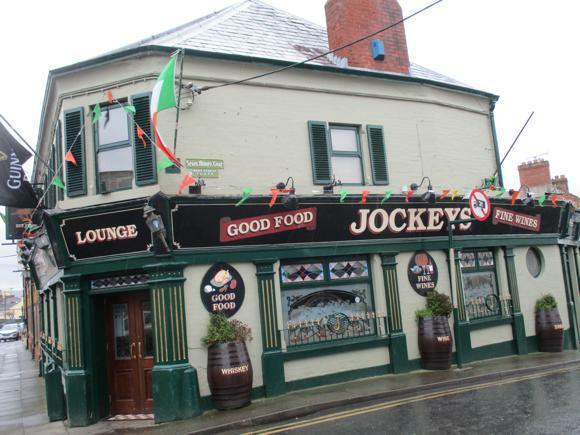 As you make your towards Market Square, your first port of call should be Jockeys, where sport (racing, of course, and hurling, with a back room for football watching) and quality home-made food feature highly. 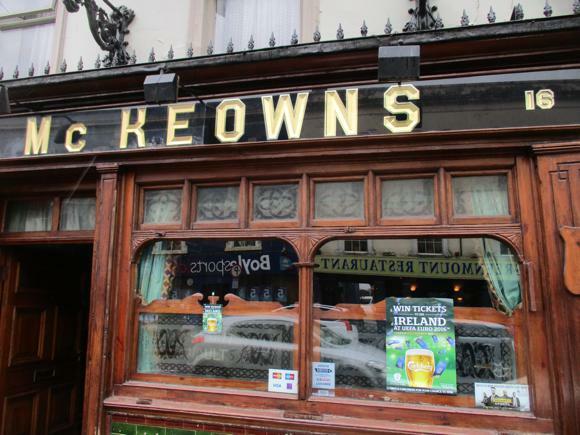 Across the road, the Big House/McGuinness (27 Anne Street) also goes big on TV sport – though sadly its beer signs (Harp, Macardles) are nods to a moribund local industry. Further along the same side, popular Brubakers is more bar-like and keeps longer hours. Live sport is still a given. Alongside, Russell’s Saloon is a recent and tasteful revamp of a much-loved old bar, a destination for craft and German beers, though not soccer. The new ownership has also had the good sense not to take down the large clock outside – some things are still sacrosanct. 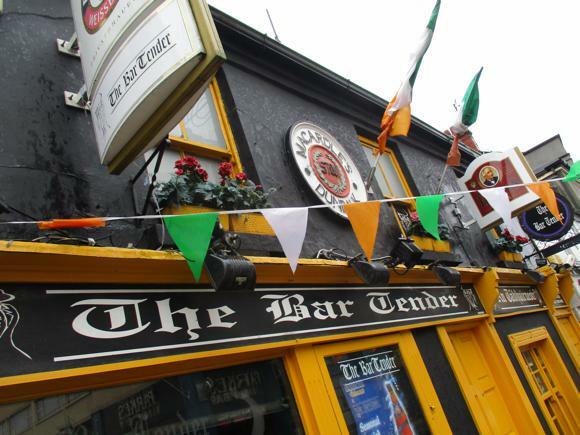 Craft brews, and lots of them, are also served at The Bar Tender (‘Cold Beer, Warm Welcome’), which recently celebrated its tenth anniversary. 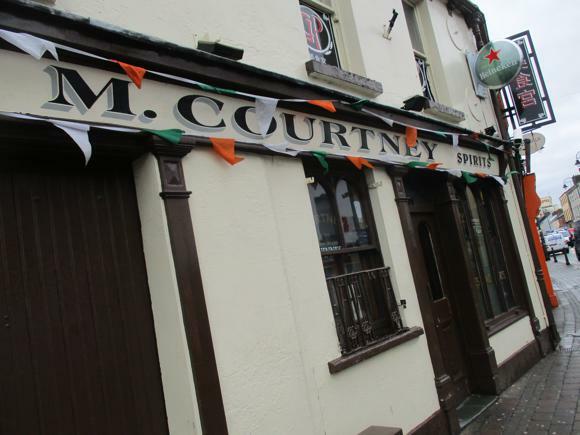 Nearby stands M Courtney’s (44 Park Street), a seriously old-school pub in a building barely changed since the mid 1800s. 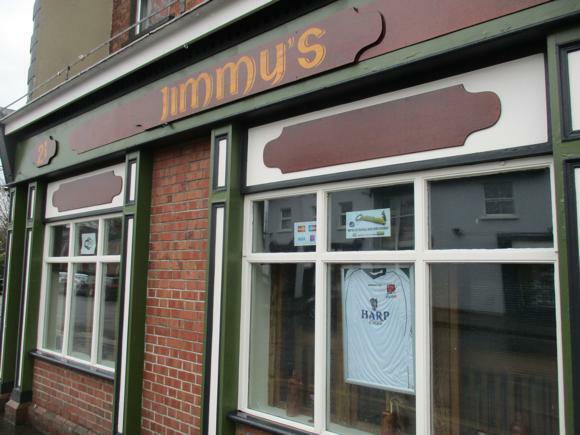 Mention should be made of Jimmy’s, a corner sports bar with Dundalk shirts proudly posted up in the windows. 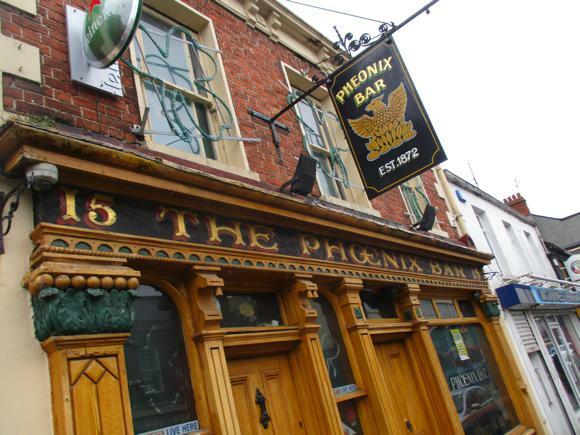 On the other side of the road, the Phoenix is one of the oldest pubs in town, with regular live traditional music. 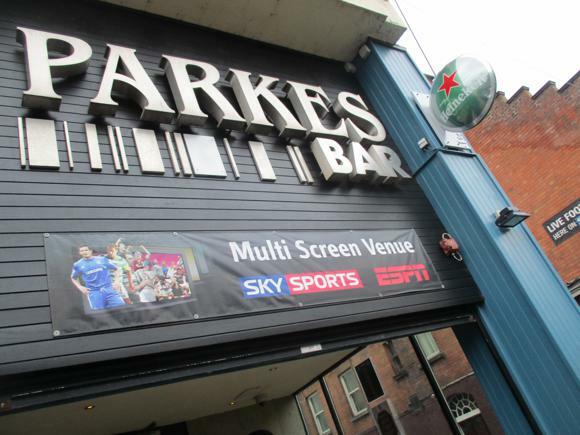 Below the Hotel Imperial, Parkes Bar is still a going concern as a bustling destination for TV sports and local students – although any hotel sale might change this. Finally, in a quieter part of the town centre, McKeowns is a great local spot for sports, predominantly but not exclusively racing, and communal imbibery.